Veteran director Vamsi, who had earlier directed some great films like Ladies Tailor, April 1 Vidudala and Sitara, has chosen Ajmal Ameer as the lead hero in his 25th film. Ajmal had earlier played important roles in Rangam and Ram Charan, Tamannaah starrer Rachcha. This untitled film in Vamsi’s direction is Ajmal’s first Telugu film as the lead hero. Buzz is that he’s going to romance five heroines in this family entertainer and their names will be announced soon. 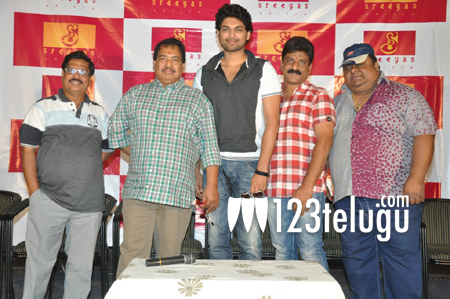 The film was launched earlier today in Hyderabad. Poorna is producing the film and MV Raghu is the cinematographer. Chakri is scoring the music. The film is reportedly set in a small colony and it’s said to be a beautiful take on the relationships which people share in the colony. Chakri has already recorded couple of songs for the film and it’ll go on floors shortly.